U.S. Supreme Court justices Monday expressed concerns about the caseload federal appeals courts might see if they allow Texas death row inmate Erick Davila another chance in a lower court because of an error his lawyer made in the appeals process. U.S. Supreme Court justices wrestled Monday with the possible implications of siding with a Texas death row inmate who argues his case should have another chance in federal court because his appellate attorney neglected to bring up a trial error. The court appeared split along ideological lines during the hearing, with Justice Anthony Kennedy — often a swing vote — sharing the same concerns as the conservative justices. A ruling on the case is expected by the end of June, when the court's term ends. The origins of the case dates back to 2008, when Erick Davila fatally shot a rival gang member’s 5-year-old daughter and mother during another girl’s birthday party in Fort Worth. Davila, 30, claims he intended only to kill his rival, Jerry Stevenson. As jurors deliberated, they focused on the intent issue, asking the judge if they should decide whether Davila intended to kill his two victims or if he intended to kill someone and in the process fatally shot two others. The judge instructed jurors that Davila would be responsible for a crime if the only difference between what happened and what he wanted was that a different person was hurt — without affirming to them that Davila must have intended to kill more than one person. Davila’s lawyer objected to the judge's instruction but was overruled. It was the right move by the lawyer, but it hurt Davila in the long run, according to Seth Kretzer, who argued on Davila’s behalf before the justices in Washington, D.C. The judge's instruction wasn’t brought up during Davila’s automatic, direct appeal,and another lawyer handling Davila's state habeas appeal — which focuses on facts outside of the trial record — didn't claim the appeals lawyer should have brought it up. Two big mistakes, according to Kretzer. Death penalty cases can also be appealed in the federal court system, but it is generally ruled that issues that could be raised at the state level can’t be reviewed federally. So, when a federal lawyer tried to raise the claim that Davila’s lawyer in the direct appeal was ineffective for not faulting the judge’s instruction, federal courts said they couldn’t rule on that because it could have been brought up during the state habeas appeal. There is an exception to this rule, created in the Supreme Court decision Martinez v. Ryan, which says that if state habeas lawyers fail to raise the issue of ineffective trial counsel, the federal courts can still hear it to ensure that defendants are guaranteed their Sixth Amendment right to a fair trial. Justice Samuel Alito told Kretzer that applying Martinez to Davila's case would burden federal appeals courts with numerous claims of errors from both trials and appeals. "If we accept your argument, it applies everywhere, and it's not limited to ineffective assistance of counsel,” Alito said, according to the court’s transcript. “... it applies to every single — every single type of error that could occur at trial." Kretzer disagreed, saying that if the Supreme Court sided with his client, it would only apply to claims of bad lawyering during the appeals process. Justice Stephen Breyer, a noted death penalty critic, said it wouldn’t be a huge burden for federal appeals courts to hear more cases similar to Davila's but added that he thought Alito made an interesting point. Breyer asked what the difference was between raising the claim that a lawyer messed up during trial and during the appeals process. Breyer expanded on what he saw as a conundrum in the rules of how and when someone can raise the claim that they had a bad lawyer at trial and/or during the direct appeal after trial. Texas Solicitor General Scott Keller shared the same concern as Alito. “Extending Martinez to appellate-IAC [ineffective assistance of counsel] claims will have a huge systemic cost by opening up the entire trial and everything that happened at trial to federal habeas review,” he told the court. Justice Sonia Sotomayor asked if that was enough of a reason to deny Davila. She and other jurists had noted throughout oral arguments that even if more claims were brought forward because the court sided with Davila, there would be a “initial uptick of claims until people settle down and realize that it's a small number that are viable,” Sotomayor said. If the high court rules in Davila's favor, the case would be sent back for federal courts to review his ineffective counsel claim. If it sides with Texas, Davila's appeal will be denied and he could become eligible for execution. The U.S. Supreme Court ruled in January it would review the legal complexities in Erick Davila's case. 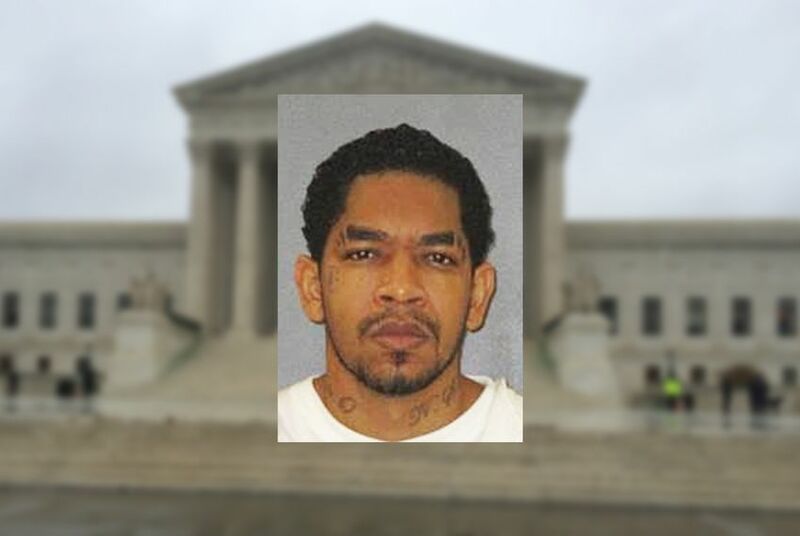 The U.S. Supreme Court agreed earlier this month to hear the Texas death penalty case of a Honduran national who was convicted for his role in a 1995 murder of 67-year-old Santiaga Paneque during a Houston home invasion.